Richard Burgi guest stars on the season nine premiere of One Tree Hill. He's playing the father of Brooke. 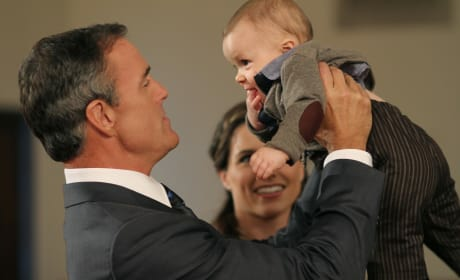 Richard Burgi plays a key role on season nine of One Tree Hill. 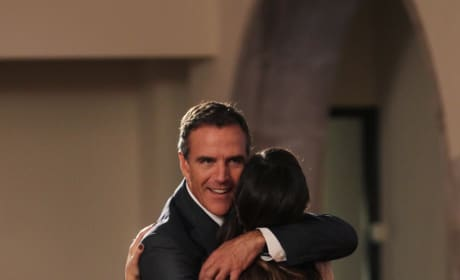 His character gives daughter Brooke a hug here. This must be an emotional scene for Brooke. Her father is holding up her son. Julian doesn't look thrilled in this photo from the season nine premiere, does he? 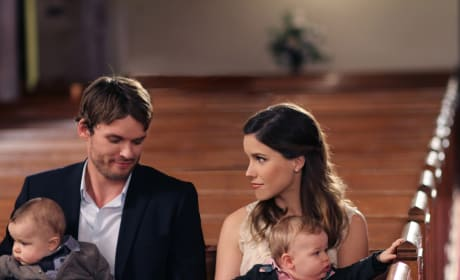 He's with Brooke and their kids at church.